Our Feed a Family – South Jersey fundraiser will take place from July 27 through August 12. 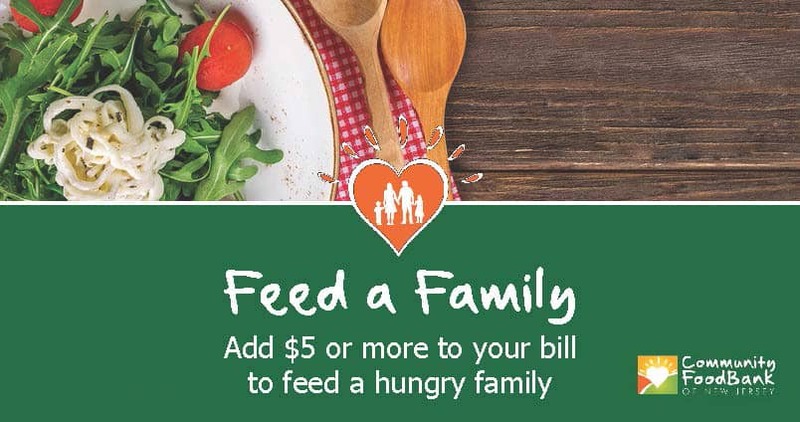 Enjoy a meal at one of your favorite restaurants while giving back to those in need by adding $5 or more to your bill to help feed hungry families. All of the proceeds for this fundraiser will benefit the Community FoodBank of New Jersey – Southern Branch. We’re still recruiting restaurants! Check back soon to see what other South Jersey locations participate. See the full list of who’s joined us so far here. Click here to make an additional donation for South Jersey families in need.